Cape Town, South Africa, March, 2019 – S.Pellegrino and Acqua Panna, headline sponsors of 50 Best Restaurants, kick off the 2019 appointments at the seventh annual edition of Asia’s 50 Best Restaurants, that will be announced live on Tuesday 26th March 2019 at 20:45 (CST). The event will bring together the continent’s leading chefs, restaurateurs, sommeliers and culinary minds to Macau’s impressive Wynn Palace, to celebrate and champion excellence in gastronomy. Asia’s 50 Best Restaurants will also be the occasion to officially start the celebrations of S.Pellegrino 120th anniversary with the Asian gastronomy community. Since the early 1900s, S.Pellegrino chose the table as its place, embracing that typical Italian passion for fine living and becoming itself synonymous with Italian good taste and lifestyle. Along the years, it has been delighted to contribute to the celebration of fine dining and its purveyors throughout the world, recognising the pioneers and innovations of gastronomy. Following a prestigious line of limited editions recognising talent in the world of style and design, for this heartfelt Anniversary S.Pellegrino takes inspiration from a very special natural element, which is pure and coming from earth after many years just like S.Pellegrino water: diamonds. The Anniversary Edition will be presented for the first time in Asia during the celebrations of Asia’s 50 Best Restaurants and will then arrive in the finest restaurants of the region. 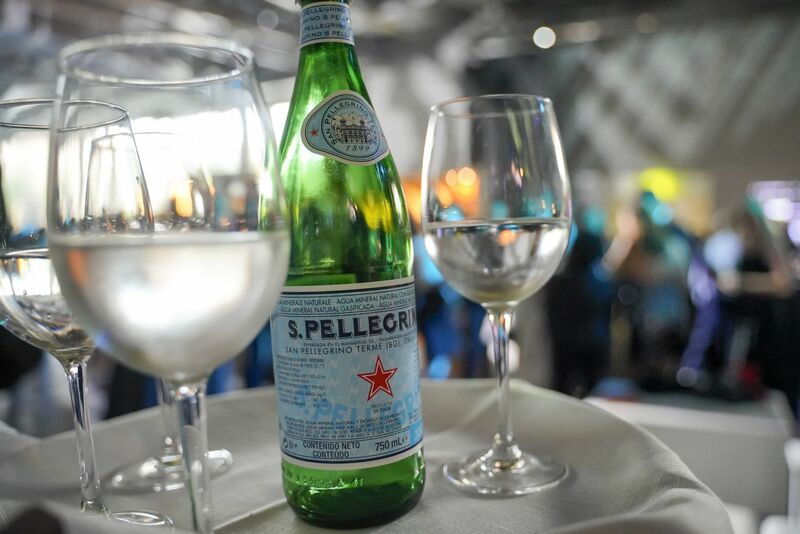 S.Pellegrino and Acqua Panna will live stream Asia’s 50 Best Restaurants 2019 from Macau, China via FineDiningLovers.com, the online magazine for food enthusiasts worldwide. Follow the updates to know the details. Join the conversation via #Asias50Best, and follow updates from @Finedininglover on social. S.Pellegrino and Acqua Panna and Sanpellegrino Sparkling Fruit Beverages are international trademarks of Sanpellegrino S.p.A. Distributed in over 150 countries through branches and distributors in all five continents, these products represent quality excellence by virtue of their origins and perfectly interpret Italian style worldwide as a synthesis of pleasure, health and well-being. Founded in 1899, Sanpellegrino S.p.A, part of the Nestlé Waters group, is the leading company in the beverage sector in Italy with its range of mineral waters, non-alcoholic aperitifs, drinks and iced teas. As a major Italian producer of mineral water, it has always been committed to enhancing this primary good for the planet and works responsibly and passionately to ensure that this resource has a secure future.